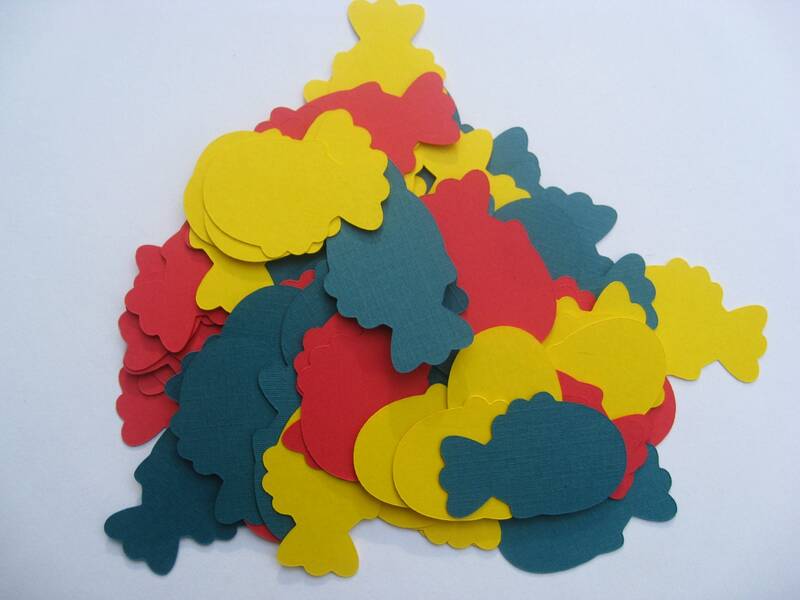 500 Fish Confetti. Red, Yellow, & Blue. Or CHOOSE Your OWN COLORS. Birthdays, Weddings, Showers. Custom Orders Welcome. 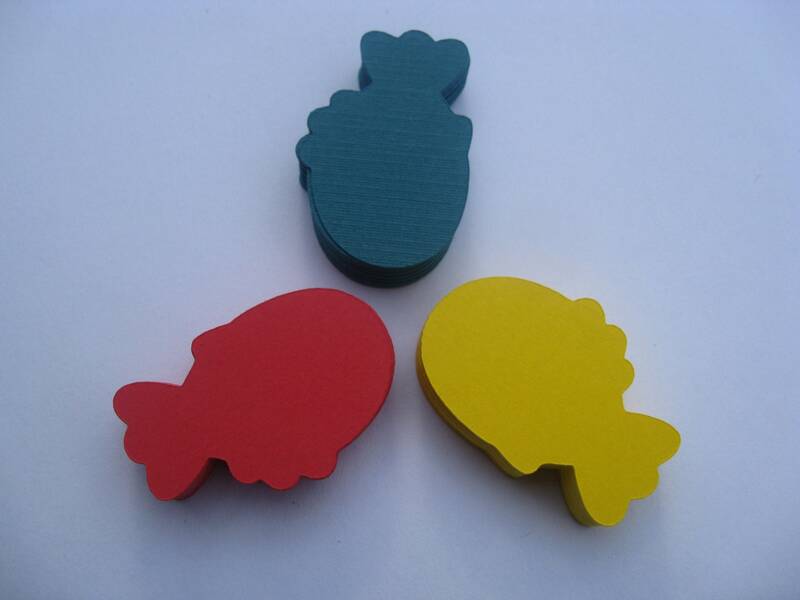 These fish are made from red. yellow, and a turquoise blue cardstock. This listing is for 500 fish. 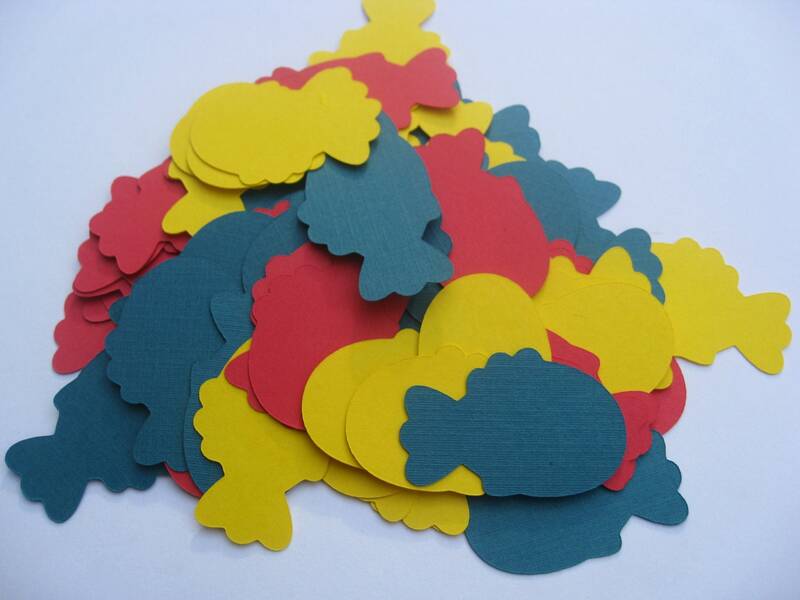 These are great for confetti, decoration, gifts, cupcake toppers, or anything else you would like to use them for!!! This listing is for 500 fish. These measure 1.5 inches wide and 1 inch tall.